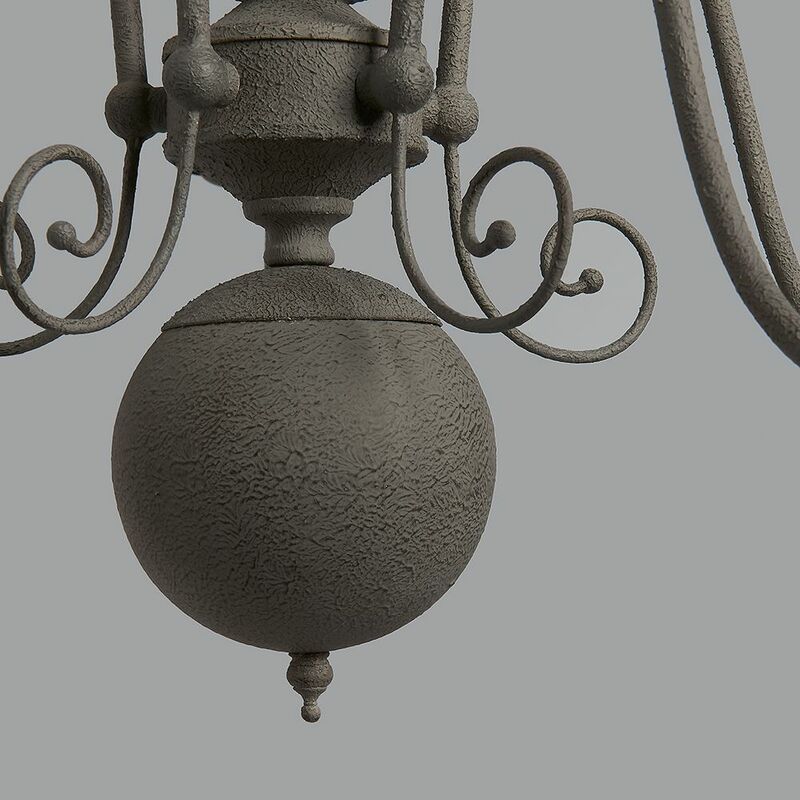 This grey metal chandelier has five separate arms that each contain a standard small screw dimmable bulb (we've used flame-tipped bulbs here as an example). 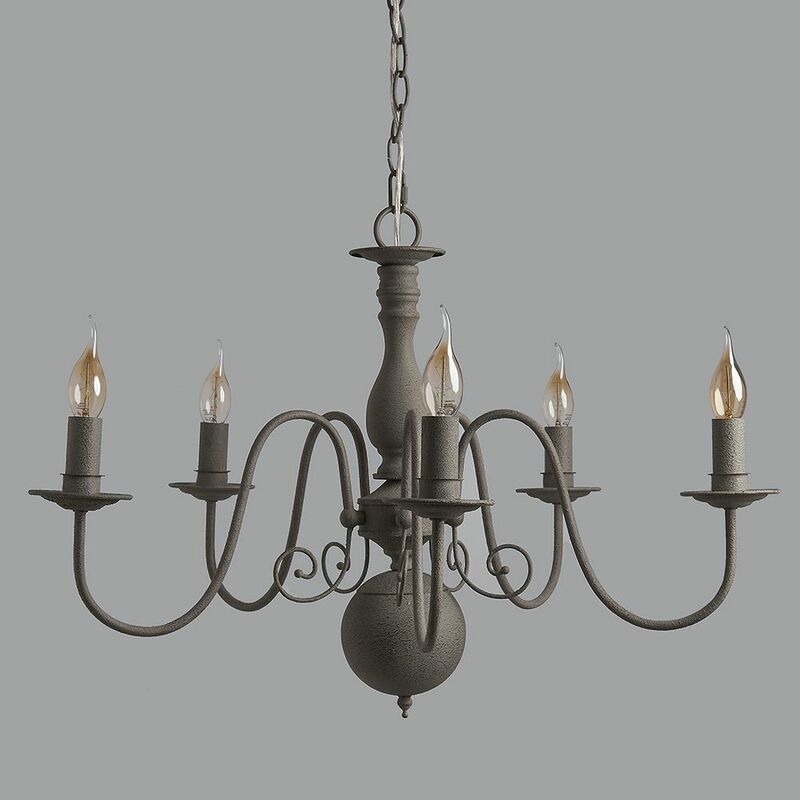 It's a classic design that adds instant style to a room and given its size, it can take on most rooms and spaces. 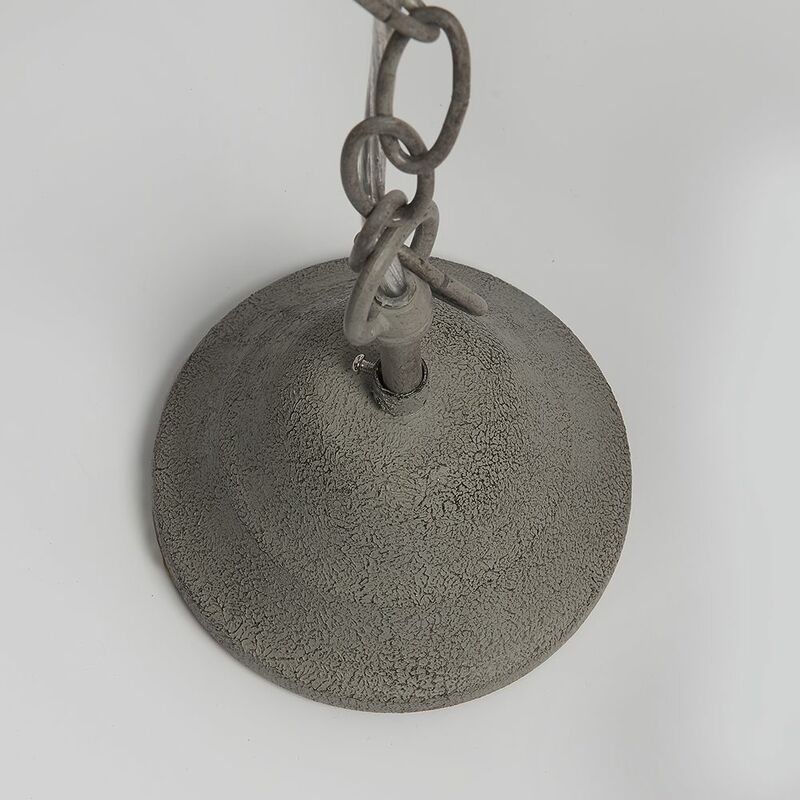 It comes with around 75cm of flex and chain that can be shortened to any length and a matching metal ceiling rose, as shown. Approx: 70cm dia x 52cm high.